hot fix copper/ hot fix half round pearl/ hot fix laser squin etc. We will be responsible for all loss if the material moved place when you received ! Pack: Hotfix motifs with harden cardboard at corner and around sides,with vacuum shrink film outside,last packed in carton. PS: Our hot fix motifs production using vacuum packaging by machine. (Not the traditional shrink film packaging). After packaging,the parcel will be hard like the stone and even fell on the ground they will not move the position.It is very suitable for remote transprt. Welcome to China HK YAX LTD,. 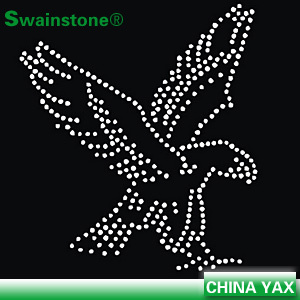 China YAX Hot Fix Rhinestone Motif factory is located in GZ China,which is established in 2006. 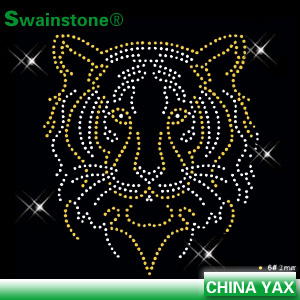 We are a professional leading manufacturer and exporter of hotfix rhinestone motif. 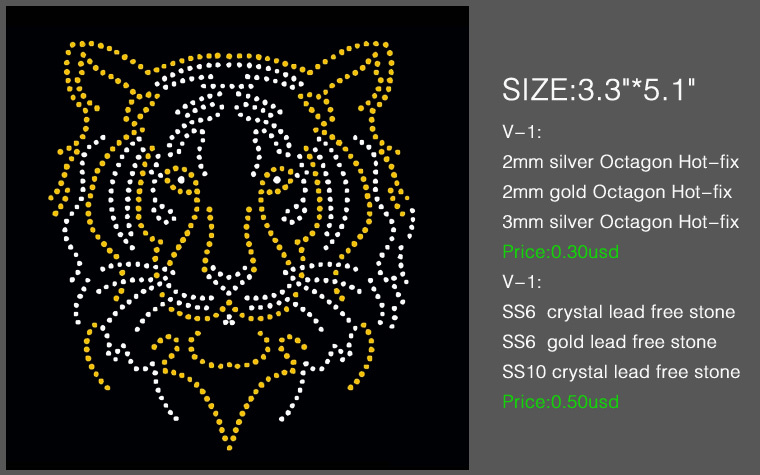 Hot fix strass motifs are our hot sale items.Our hotfix motif transfers and hot fix rhinestones have been sold all over the word. 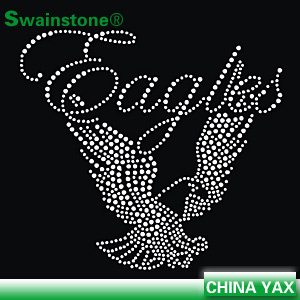 We are China factory of hot fix rhinestone transfers,so we can offer very attractive price of hot fix motif transfers and control the whole production progress of iron on rhinestone motif. Each piece of iron on rhinestone pattern need to be double QC before shipment. 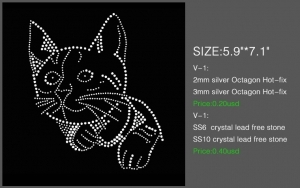 our hotfix rhinestone designs are Vacuum pack,it can protect iron on rhinestone designs to be perfect after long-distance shipping.hot fix rhinestone design samples are available before bulk hotfix rhinestone patterns production. 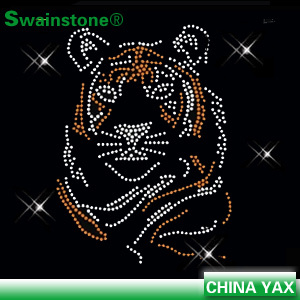 Hotfix rhinestone transfer designs material have many types for your choices,such as hotfix rhinestones,hot fix studs,hot fix copper,hot fix nailheads,hot fix half round pearls,hot fix sequins etc.Senior designer help you design rhinestone motif transfer,custom rhinestone motif hot fix is welcome.Professional sales team for your hotfix motif transfer service of pre-sales and after sale. 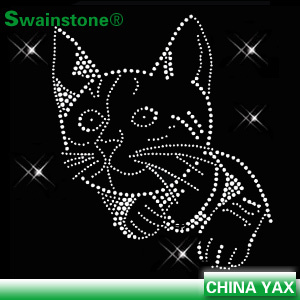 Welcome contact us if you have any demands of hot fix rhinestones and hot fix motif designs . 1. More than 11 years experience on hot fix motif/ transfer business. 2. Proffessional designer team,senior designer. 4. Unique Vacuum pack protect products through long-distance shipping. 5. Factory directly sale, competitive price. 2.The layout of hot fix motif:Length within 50cm;Figure margins at least 1cm;Spacing between figure and figure at lest 1-2cm(ensuring easy cutting) (Tips:To maximize cost asvings for you,according to the actual size of the pattern we will be a slight adjustment for typesetting). 3.In the producing of hot fix motif,make sure not to move the place,no flip,no bad rhinestone and no off glue rhinestone. 6.Outer packing:Use new export cartons and cover woven bag.And marked with box number and packing list.Foreigh trade enterprises only need simply inspection and make a delivery directly. 7.We will have a test the sample of hot fix motif,then provide accurate temperature and pressing time for you.Also,we will send you necessary back-up loose materials for free. 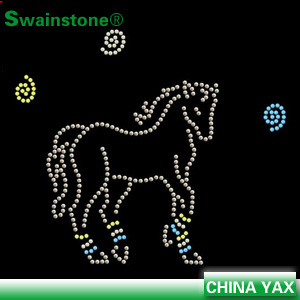 transfer rhinestone motifs;transfer rhinestone;transfer motifs;transfer rhinestone designs with 11 years experiences.